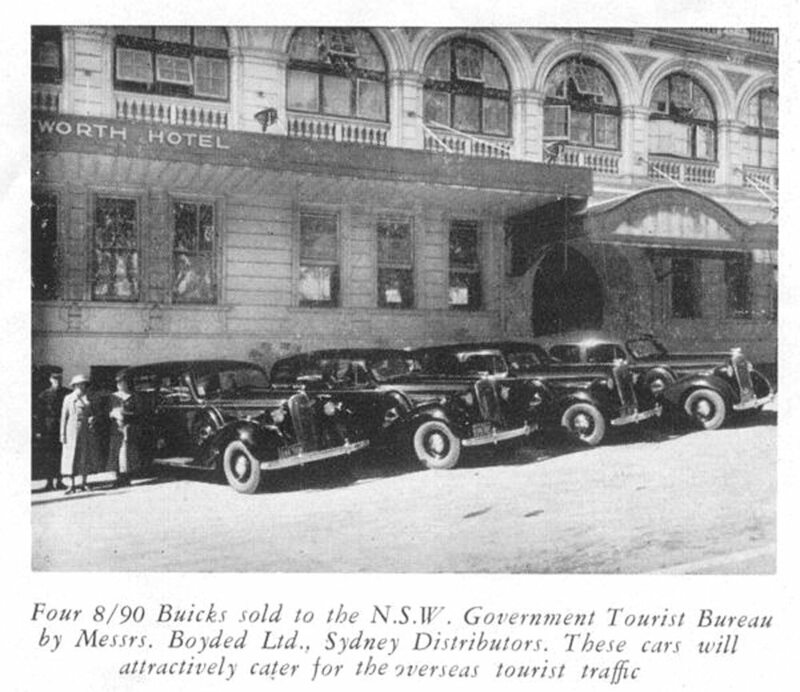 1936 Buick 8/90?s sold to the NSW Government by Boyded Ltd.
Four 8/90 Buicks sold to the NSW Government Tourist Bureau by Messers. Boyded Ltd., Sydney Distributors. These cars will attractively cater for the overseas tourist traffic.